After mine was finally repaired, I went into the BIOS to set the battery to charge only when it reaches 50%, and then only up to 90%. My hope is that this will make the battery less likely to swell (I mostly use it on AC power, so it previously was charged to 100% most of the time). I don't know if this is valid thinking, but I'll see what happens. I have the same exact problem as shown in the pictures above. Is there a resolution for this? First Dell tech was sent palmrest and touchpad to replace. When he took apart laptop, he saw the very swollen battery and realized, the palmrest wasn't the necessary part. He installed the new touchpad, but then ordered a new battery. Unfortunately, the battery was on back order. After a few days they offered me a refurbished battery. I said no, that I would wait for a brand new battery. After another few days, new battery arrived and second Dell Tech installed battery and new Palmrest left by previous tech. Then Hard drive would not be recognized. After three hours, I sent him away. He called into his Dell Tech support and got the run around. 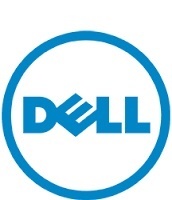 He texted me and said he tried, but I had to contact Dell for Software Support for my failed Hard Drive. It was fine before they replaced battery.... Scheduled call with "Software Support" who realized quickly that I needed new Hard Drive or Motherboard. Third tech came with new hard drive and new motherboard in case. New hard drive solve the issue. So... new battery, new touchpad, new hard drive, working well. New hard drive came with same Win 8.0 Home edition. I asked the third tech if I could get a product key for Windows 10, and he handed it to me. Also, he allowed me to keep my old hard drive for an extra day to copy my files off with enclosure. Eight days later I'm back in business. I will continue to extend my warranty to keep this laptop running. Advice - back up data before they work on battery in case your hard drive also fails and your tech DOESN'T let you keep your hard drive and/or you have no quick means to get data copied off of it. I've had the same touchpad issue on my Dell XPS 15 9550 from about month 3 of ownership. I bought my laptop at The Microsoft Store so I have to get it serviced through them. I'm also having this problem of the rising touchpad. When I called about a month ago, I was told by Dell Tech Support that this was "normal wear and tear". I asked if this had been reported by anyone else and was told it wasn't. the "rising" has gotten worse, so I searched again and found this thread. This is obviously a manufacturing defect, seemingly a problem with the batteries. My PC is now just over a year old, is Dell going to do anything about this? I have the same problem with my Dell XPS 15 9550 purchased in October 2015. Kindly send me a private message with the service tag and your contact details. Also, please include few pics of the issue. I am having the exact same problem. This laptop is only 6 months old, which is pretty disappointing. I bought this laptop from the microsoft store in Sydney, will I need to get in contact with them in regards to this? I am also having this problem. Seems like it could be a fairly common problem.